I am Eminé Rushton, LEAF's Creative Director – a natural living and green beauty champion, editor and brand consultant, with 13 years experience. As Wellbeing Director-at-Large of Psychologies magazine, and co-founder of the Balance Plan, I have always been a staunch supporter of green, natural, ethical and organic living – at work and at home. I live with my two children, my husband, and our little rabbit Pip, in a 200-year-old cottage in the garden of England, Kent. Here, we savour and grow, nourish and create – and from this garden, comes LEAF. Creative collaboration is my passion. I love working with good people to create everything from spirit-lifting events and soul-nourishing retreats, to inspiring brand content that really gets under the skin. My Comms & Community Directors are the utterly brilliant Amy Le Roux and Jess de Bene, who share 17 years' experience at Estée Lauder Companies, having worked at Comms Director level across Darphin, Aveda & Clinique. 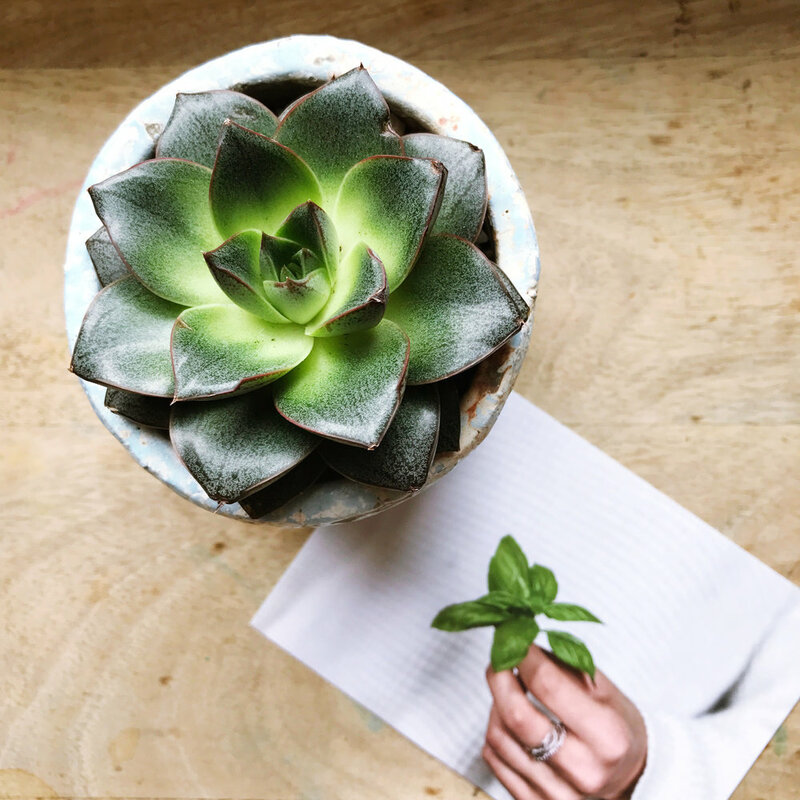 They have led news-making national campaigns for some of the industry's biggest brands, and consciously bring their dedication, creativity and connections to LEAF – to help grow the little LEAF garden, and move the spotlight to the ethical & natural market. You can reach them on comms@leafcreate.com for anything you may need, from any of our wonderful brands. I've been a vocal supporter of natural, ethical and organic brands for over 10 years. They're my personal choice for my body, my home, my children, my travels – everything that I come into contact with is based on conscious choice. From my lipstick (Absolution or Ilia) and toothpaste (Weleda), to my washing up liquid (Dr Bronner's Castile Soap) and stainless steel water bottles (S'Well) this is an innate part of how I live my life. By choosing to work with brands I love, people I respect, and in a way that supports a more balanced approach to living, L E A F grows out of shared values, mutual respect, and transparent truths.